What It’s About: Streetwise Brendan (Joseph Gordon-Levitt) scours the underworld (of high school drug dealers) in search of his missing ex, Emily (Emilie De Ravin). Why Watch it Today? 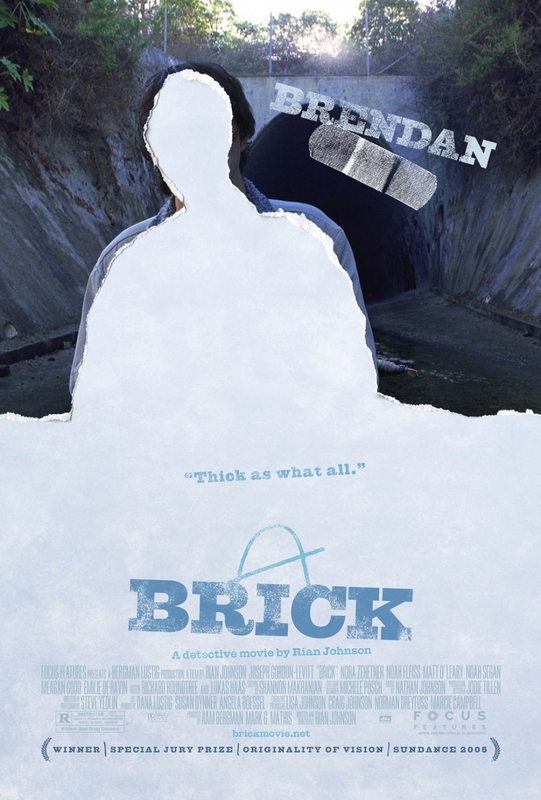 : Brick is disarmingly clever transposition of the beats of a Noir detective story from the adult crime world to a high school setting. It’s the kind of story that couldn’t exist without the work of Raymond Chandler (born on this date in 1888). Other Choices: Prefer Noir to Neo Noir? Raymond Chandler wrote The Big Sleep and adapted James M. Cain’s Double Indemnity for the screen. This entry was posted in Arthouse, Crime, Detective, Drama, Independent, Indy, Juvenile Delinquent, Movie of the Day, Mystery, Neo-Noir and tagged adults playing teens, before they were famous, double cross, drug addict, drug dealers, drugs, Emilie De Ravin, ex-girlfriend, femme fatale, high school, Joseph Gordon-Levitt, Lukas Haas, made up slang, narration, principal, Richard Roundtree, teens.